French game developer Voodoo is on fire lately with some fantastic releases including Baseball Boy!, Dune! and Twisty Road. And the company has just launched yet another arcade title called Perfect Tower. Do not let the simple but cute graphics fool you. 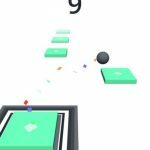 This object stacking game for Android and iOS will have you playing for hours on end. You will be given random items to stack, and your goal is to create the tallest tower in the world. While it might sound easy, there is a catch. 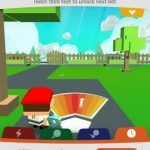 You will literally be dropping items on top of your stack. The force of dropping items alone is enough to threaten the stability of your tower. What makes it even more difficult is the randomness of the shapes of the objects you will be dropping. If you are lucky, you would be getting a lot of flat surfaces, like polygons and boxes. Otherwise, you will be dropping odd objects like rubber ducks and wine bottles. Make sure you read our list of Perfect Tower tips, cheats and hints to improve your high score! 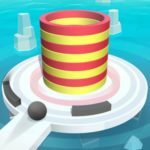 As we mentioned above, what makes Perfect Tower tricky is the fact that you have to drop the items on top of the stack. This is easy enough to accomplish with square and rectangular shapes. What you need to worry about are the oddly shaped objects because they will settle on the stack differently. That means they could tilt or roll before settling in place. 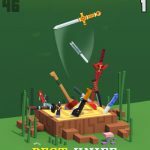 If you are not careful, you will end up with a very unstable tower that will topple after just a few more objects. Think about the shape you are dropping and how they might behave once they fall then adjust your aim accordingly. The shapes that have already settled on the tower will no longer move. This is a good thing because that means you only need to focus on the upcoming shapes in order to progress. Just proceed one shape at a time to avoid getting flustered. All you have to think about is how you will balance the current shape on top of your existing stack. No matter how you drop the current item, the stack won’t move anymore. Of course, that also means that if you accidentally dropped an item at a weird angle, you will not be able to do anything to correct this problem. As you stack objects higher, you will notice dotted lines that go across the screen. These lines indicate a safe point if your run. When you reach that point, a rainbow piece will fall and merge with your tower in order to create a perfectly flat surface. That means reaching these dotted line milestones will give you a chance to build on a flat tower once more. As you play Perfect Tower, you will be able to unlock new shapes. While it can be fun to watch random objects fall on your stack, you have to play it safe in order to gain higher scores. Pick basic shapes that are as square and flat as possible. This will help you survive the game even if you make mistakes from time to time. You will need these special shapes in order to succeed in challenges since they are the only shapes that will drop for certain in the challenge mode. The game provides various challenges for you to take on. It is important that you read these because you will need to prepare your strategy accordingly. Some challenges will have nothing but weird shapes for you to stack. Other challenges will have high gravity, making it difficult for anyone affected to. If you remembered to unlock solid flat shapes, you should be able to use those in completing challenges. Raking in the points is easy if you are rely on our Perfect Tower tips and tricks! Make sure you remember everything you learned if you want to make it to the top!